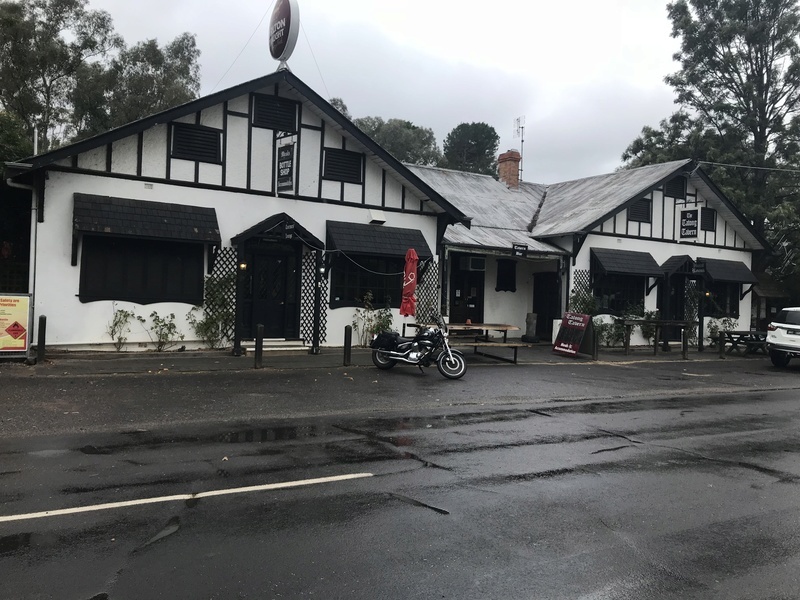 A Wet Ride to the Tatong Pub - 15/3/2018. Re: A Wet Ride to the Tatong Pub - 15/3/2018. So we met at Yarra Glen and the final count was 12 bikes and 1 car. The Ride Leader was Greg "Cutters" and Cutters had a newby pillion passenger in "Olly". Tail End Charlie for this adventure was June Flanagin. The weather closed in during Cutters pre ride chat and pretty much stayed this way all day. The highlight of the ride being some new roads up around Ghin Ghin and Yarck. By the time we arrived at Yarck, we were convinced we had seen the worst of the weather but unfortunately it continued to rain pretty much to whole way to Tatong. Because of the weather and the state of the roads in the high country following the wild weather the following day, we arrived at the Tatong Pub about an hour later than scheduled. We were pleased to see some open fires roaring away and the meals were very good. After a quick fuel stop at Swanpool, we headed home and once again we were on wet roads for most of the trip. So all in all, a good but wet ride and a total of 480K`s for the day....That's a big ride in those conditions. We are looking forward to doing the ride again on some dryer roads. Thanks Greg & June for a great day and yes....we all slept well.